For those who have expressed an interest in supporting the program, please know that you can contribute to the "Wildcat Army ROTC Alumni Development Fund". 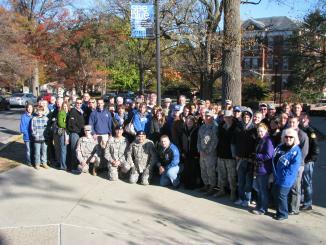 Your contributions are essential in providing the cadets the best possible leadership development programs on UK's campus. Of note, recent years' contributions enabled us to establish a Cadet computer lab, furnish our new Cadet lounge, provide merit scholarships, offset Military Ball costs, as well as other key initiatives. Please know that cadets will continue their fund-raising efforts, but it is imperative to keep this time commitment reasonable when considering all their other responsibilities. Given the minimal level of university funding, it is only through your generous support that we are able to sustain the program. 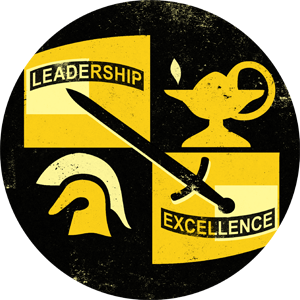 We need support for special events such as the Army 10-Miler, Norwegian Ruck March, German Armed Forces Badge for Military Proficiency event, the Staff Ride program, and the Military Ball/Awards Dinner. Donations can be made through the UK Alumni Development Office for the "Wildcat Army ROTC Development Fund", or directly through the Army ROTC department c/o Ms. Wanda Brooks. I am thrilled to be a part of this team, and I am committed to every Cadet, Soldier and Family. These will be exciting times and we will accomplish great things, but we will accomplish them as a team. I encourage each of you to visit anytime! Please pass along this note to any alumni who may have slipped through the cracks. If you have any concerns or questions, please don't hesitate to contact our department manager, Ms. Wanda Brooks at wbrooks@uky.edu. Thanks again for your continued service and support. 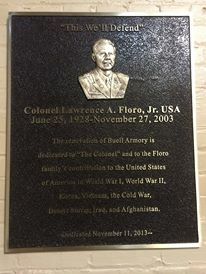 Col. Lawrence Arthur "The Colonel" Floro Jr.
Col. Lawrence Arthur “The Colonel” Floro, Jr. was born and raised in a small town of Pennsylvania. He graduated from Randolph Macon Academy – a Military Academy boarding school, earned a degree from Washington-Jefferson College, and obtained his M.S. from the University of Tennessee in nuclear physics. The Colonel served in the U.S. Army for 27 years to include tours of duty in Korea, Vietnam, and Germany. During his career, he earned with outstanding achievement awards, most notably the Legion of Merit and the Bronze Star. After his service, he served as an information specialist for the NASA TAPS program at the University of Kentucky. 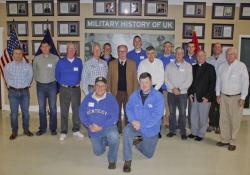 At t he Alumni Luncheon, Cadets of UK Army ROTC get the chance to have a good meal and meet with Veterans of the United States Military. This oppurtunity is both educational and enlightening for the future Officers of the US Army. We appreciate all the Veterans who came out and met with Cadets, and gave us a bit of knowledge and insight into military life.